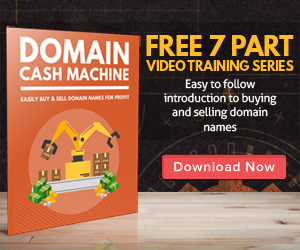 A unique domain name is crucial for any new affiliate. It’s a lot of things at once – your storefront, your address, and your calling card. So making a mistake here can damage your credibility as an affiliate and doom your site to failure. Remember that people buy from people and websites that are personable, credible, and worthy of trust. It’s always worth investing in things that increase that trust. If you’re on a budget, you might be tempted to save the cost of a domain name and monthly hosting expenses and set yourself up on a free website like Blogger or Tumblr. Don’t. Free hosting makes people think of free information, it looks homemade and not professional, and it doesn’t put people in a buying mood. It’s harder to rank your site on a Web 2.0 domain, and once you do, it’s harder to get clickthroughs to your site. Fairly or not, most people will assume that your information is less valuable if you can’t afford to buy a domain. You’ve probably seen some pretty decent sites on Blogger, but what are the odds that you wanted to buy something from there? These kinds of free hosting sites can be pretty effective as mini-sites that link to your main affiliate page, but they’re not great as centerpieces of your online business. Also, you run the risk of losing everything when you’re on a free host. If you violate the site’s TOS by accident or your host decides they don’t like the kind of sites you’re affiliated with, they can delete your site and pages of your valuable information without warning. If you’re on a free website, you lose the ability to customize your site, add plugins, and solicit comments from different sources. As a result, you’re going to look and feel cookie cutter. Affiliate marketing is a business – and no matter what your budget level, you need to meet a handful of expenses in order to look credible. This is one of them! When you’re ready to register your website, try to avoid dashes, hyphens, and “dot whatever” domain names. Unbroken domain names that have .com, .net, or .org addresses have the most credibility. Remember that if you’re trying to save a few bucks with a .biz name, people are web-savvy enough to know that you’re a cheapskate. Plus, when was the last time you saw a site with a weird TLD ranking highly in search engine results? Where Should You Go For Hosting? The hosting world is competitive and it’s always changing. The big hosting sites like Hostgator, GoDaddy, and BlueHost all have their own strengths and weaknesses, but they all do the job fine. One important piece of advice, however, is to host your domain and your website on two different companies. It’s impossible to predict whether something will go wrong in the affiliate business, and it’s smart to never trust all your websites or domains with a single host.